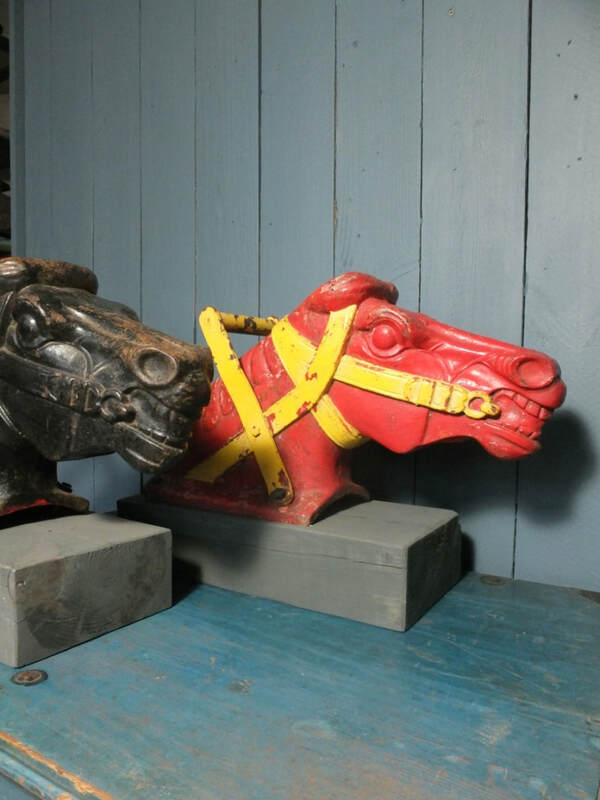 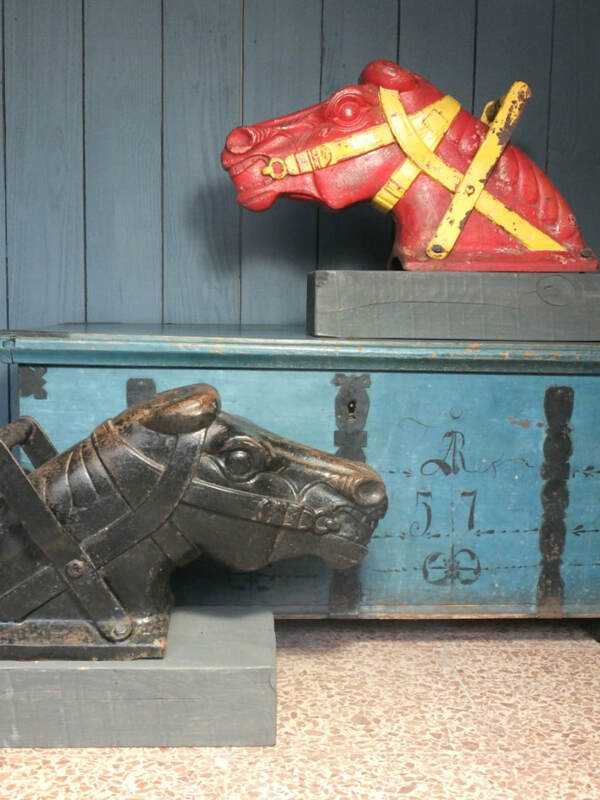 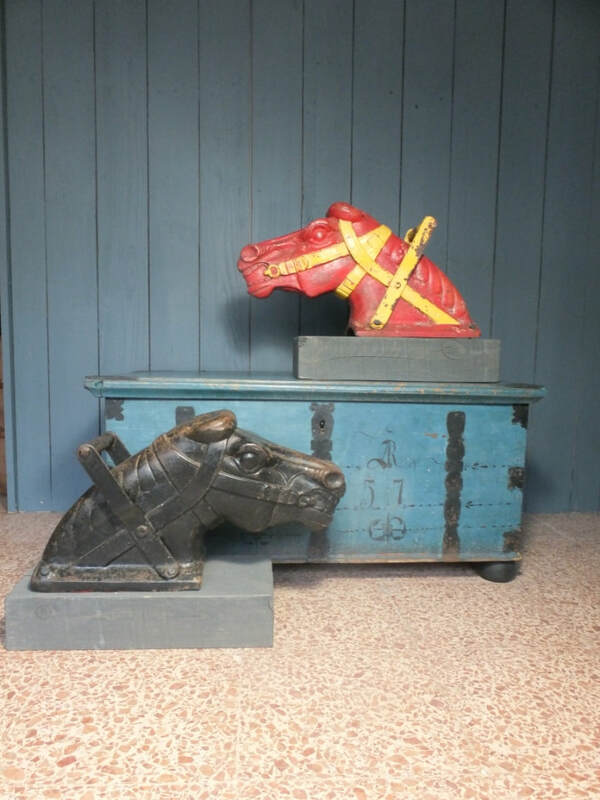 Two magnificent cast iron horse heads salvaged from old playground rocking horse rides. 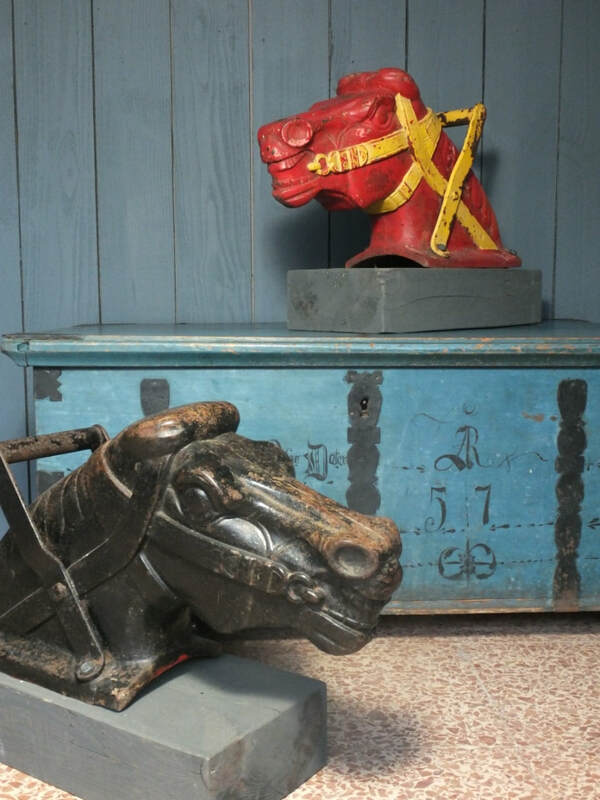 With fantastic futuristic Art Deco styling and both retaining original paintwork. 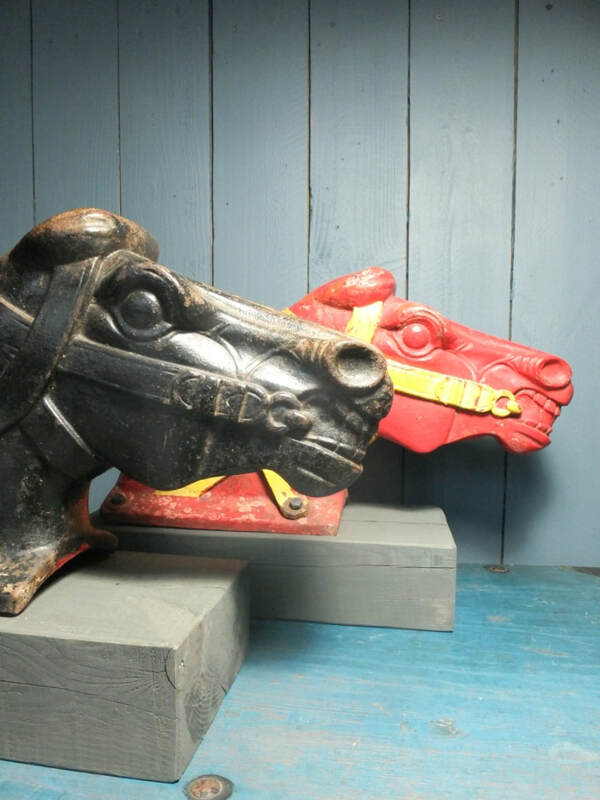 Mounted on wooden plinths. 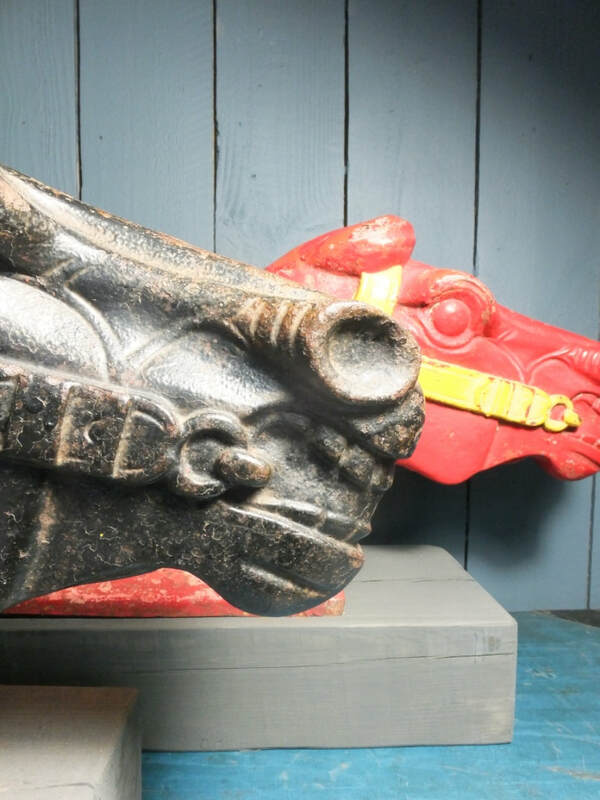 Head 30 cm high, 55 cm long, 17 cm wide.